Apple's Safari is a great web browser, but there are many reasons why you may want to use another one on your iPhone or iPad (or even on your Mac). You may use Google services a lot, and find that Chrome helps you be more efficient; or you might want to use another browser because it's faster, or because it offers more privacy. It's easy to switch browsers on OS X, but it's not that simple on iOS. 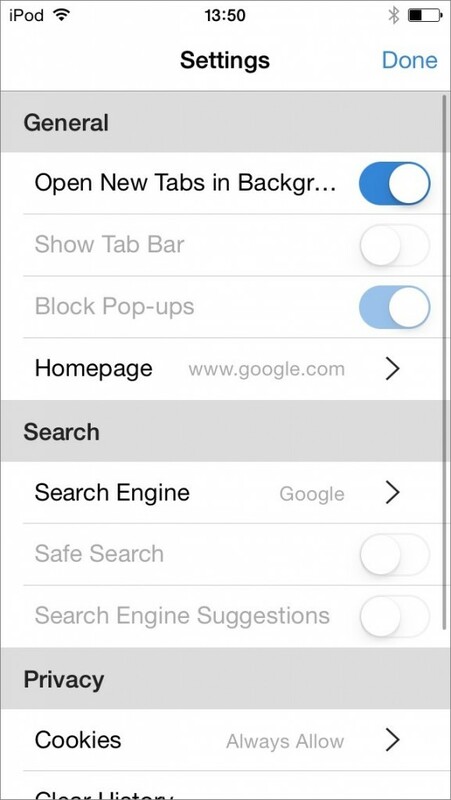 You can't change the default web browser on Apple's iPhone or iPad devices, so any links you tap will open in Safari. But you can use another browser when you manually search, enter addresses, use bookmarks, or by copying links instead of tapping them, and then pasting them into the browser of your choice. 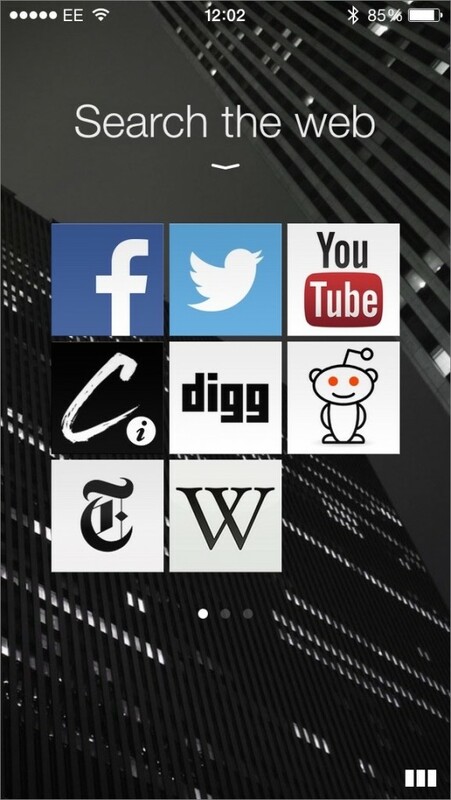 Here's a look at seven web browsers for iOS. I compare their specific features, and review why you might want to use one of these alternatives instead of Safari. Try them out and see which one works best for you! If you're an inveterate Google user, then you may want to switch to Google Chrome on your iPhone or iPad. Chrome syncs across your devices, so, if you sign into your Google account, you can access your bookmarks, and open tabs you've opened on other devices, including your Mac, PC, iPhone, or iPad. 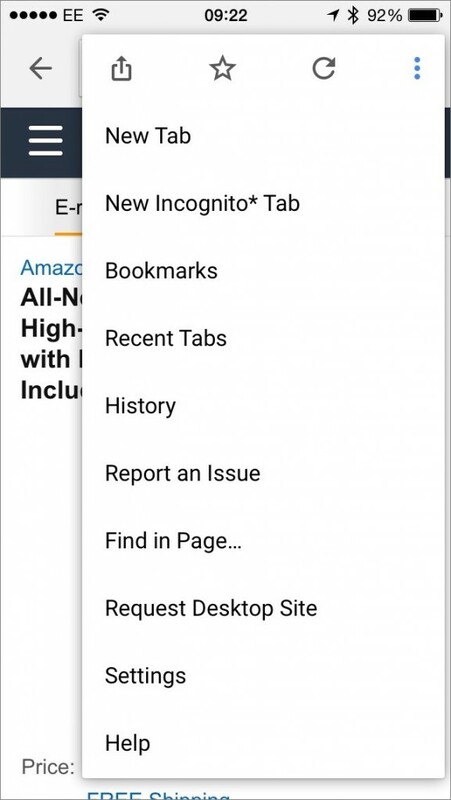 Its Incognito Mode lets you surf privately, without saving your browsing history. You can also use Google voice search. The feature I like best is the Data Saver. If you turn this on, Chrome compresses web pages before loading them. If you use your iOS device on cell networks a lot, this will save time downloading data, and save money (or make your data plan last longer). Chrome is fast and easy to use, and free. The $2 iCab Mobile is chock full of interesting features. In fact, at first glance, it seems like it has a bit too many options. It has URL filters to block web ads (which can save you time and data), has a download manager, supports multiple users, private browsing, fullscreen reading, and tabs. It has a built-in RSS reader, cookie manager, and you can save web pages for offline reading. It's stable and reliable, and is regularly updated. It also installs a share service, so you can view a web page in Safari, tap the Share button, and choose to open that page in iCab. iCab Mobile can be a bit complex to get used to, and its buttons and settings can be a bit off-putting. But it's definitely a browser for power users. 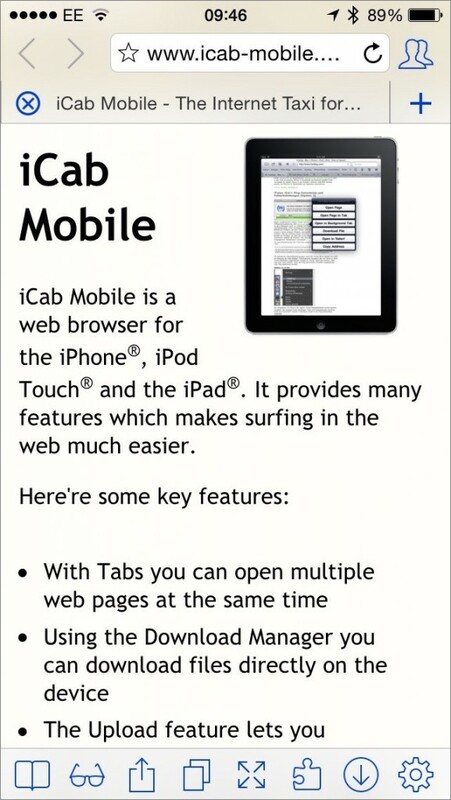 If that's you, then iCab Mobile might be the browser you need. The free Opera Mini is probably the only web browser that works on all mobile phones. There are iOS, Android, and Windows Phone versions, and it even works on "basic phones." You can create an Opera Link account and sync bookmarks across your devices. 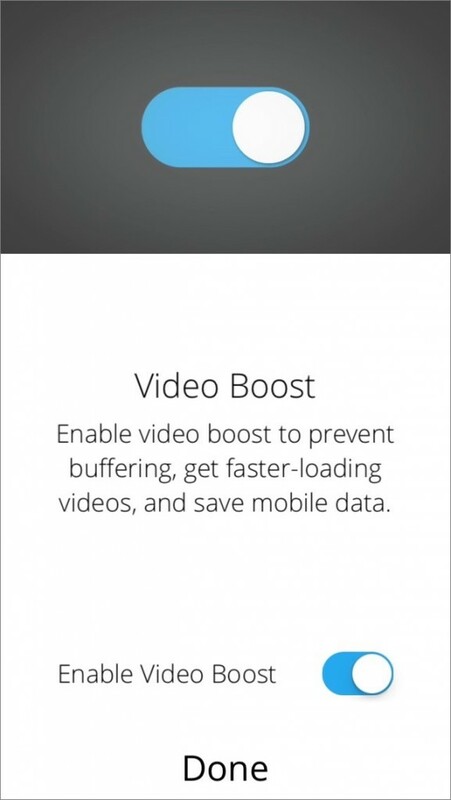 One of this browser's marquee features is its Video Boost feature, which compresses videos, saving you time and data. It also compresses web pages, making slow connections a lot faster, with one of two settings: Opera Mini and Opera Turbo. Opera Mini also has a Discover feature, which is a built-in selection of news articles by topic. It's not as detailed as, say, Flipboard or Google News, but you may find that it gives you the news you need. Opera also has another iOS browser, Opera Coast. It does away with all the widgets other browsers have: there's no address bar, there are no buttons (you swipe to move around), and you save your favorites sites as tiles on its home screen. You can search using Google, of course, but the power of this browser lies in the way it gives you easy access to the sites you visit most. Opera Coast is uncluttered, and, if you only visit a handful of sites, it's a great way to access the web. Ghostery, a free browser, is for users who are annoyed by how much they're tracked on the web. When you load a web page in Ghostery, you tap the app's ghost icon to see a list of trackers on that page. 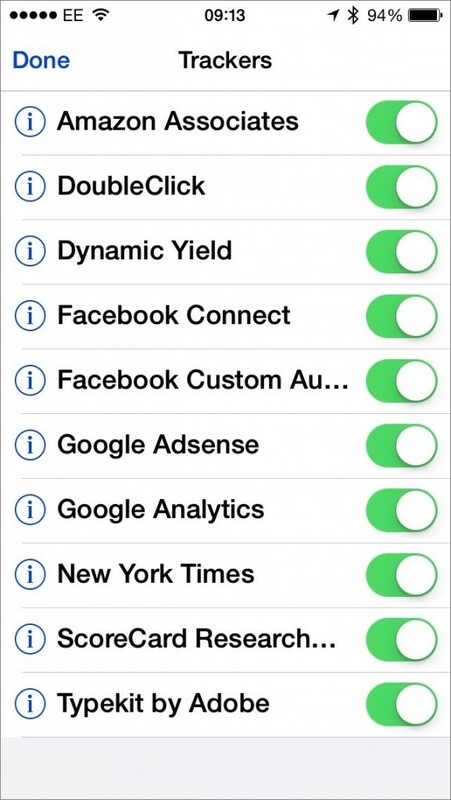 You can turn off tracking for any of the specific trackers, web bugs, pixels, and beacons, then reload the page. Over time, Ghostery develops a list of the trackers you don't like and prevents them from loading. Turning off trackers not only protects your privacy, but it can also make web pages load more quickly. When you load a page, your browser has to contact every server that provides content to the page. If there are a couple dozen trackers, you need to connect to that many servers. Ghostery isn't the most feature-laden browser; it does one thing, and does it well. If you've got kids, you might not want them to be able to browse just any website, and you may want to monitor their browsing activity. These days, it's common for parents to control what their children can see online, only allowing content that's age-appropriate by limiting access to sites you've approved. Rook, part of Intego's Family Protector parental controls for iOS, lets you choose exactly what your kids can access on the web. You can configure it on a website, from any computer or mobile device, and you can see where your kids have been browsing. 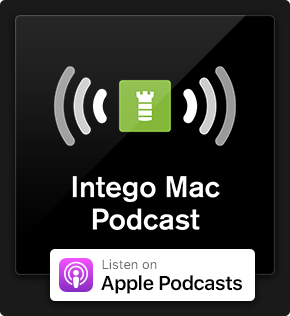 Intego Rook filters web content, blocks web pages you don't want your kids to see, and lets you even turn off web access when your kids should be doing their homework. 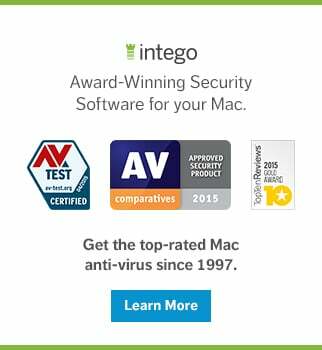 And, with Intego Family Protector, you can do much more to control what your kids can do with their iOS devices. If you're a Firefox user, and want to have your favorite browser for the iPhone and iPad, don't despair! Firefox is not yet available for iOS, but should be soon. You can check this page from time to time to see its status. 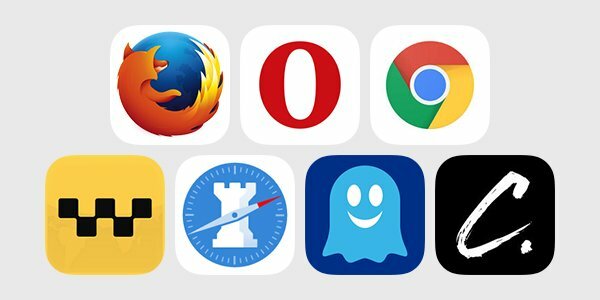 Which web browser do you prefer to use on iOS, and which do you like the least? Have something to else say about this story? Share your comments below! This entry was posted in Apple, Recommended, Software & Apps and tagged Firefox, Ghostery, Google Chrome, iCab Mobile, iOS, iPad, iPhone, Opera Coast, Opera Mini, Rook, Safari, web browsers. Bookmark the permalink. Puffin needs a mention. Very handy for services that NEED Flash. It does some magic tricks that lets you use Flash on an iPhone / iPad. Be careful about these types of Apps though. Puffin is essentially showing the end user a screenshot of the Flash interface that their servers are generating with an iOS compatible interface that mimicks any functionality then any security credentials you provide are being sent to their servers and they are technically filling out forms and user names and passwords for you. You Do Not Have Direct Access To The Website Interface using Puffin or any iOS App that is claiming to allow Flash on those devices. I have been using Dolphin on my iPad. It integrates with Box (which I use) and Evernote (which I don’t use) and just seems to work quickly and well. It has some unique features like gestures. However, the iPad version crashes frequently (although it reopens quickly with all tabs intact). The iPhone version has been updated recently, but the iPad version has been ignored for some reason (last update was October 2013).